This is one of those moments when you can feel history being made. 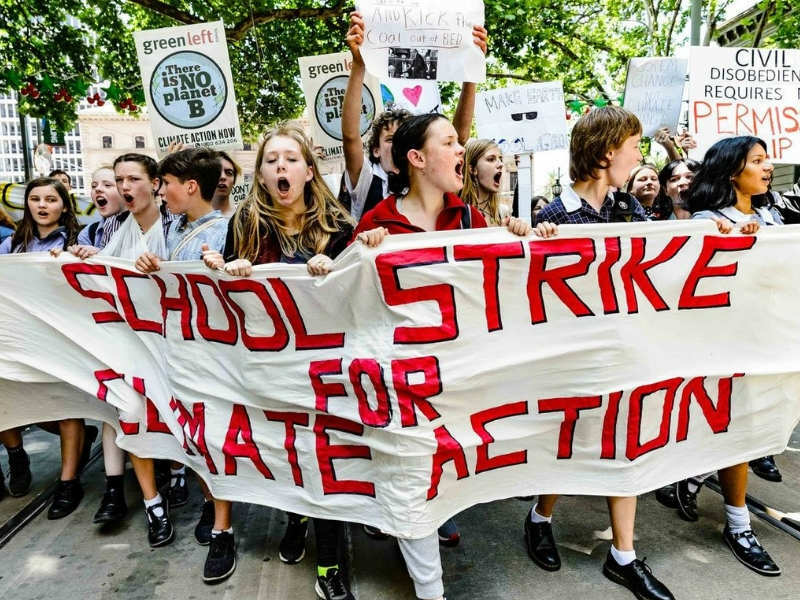 On Friday 15 March, thousands of kids across Australia will strike from school to demand our government take urgent action to stop climate damage. They’re part of a global movement of young people speaking truth to power and showing what’s at stake if we keep digging up and burning fossil fuels. And they’re asking all of us to join them. This month alone over 50,000 students have striked in Germany, Belgium, the Netherlands and Switzerland. At the last Australian strike in November, 15,000 kids left school to gather in 30 locations across the country. On Friday 15 March, the kids are asking all of us – kids, adults and everyone in between – to join them. The media and public can’t get enough of the kids, who speak with such clarity and authenticity about what our government needs to be doing. They are truly changing the story about what courageous and visionary leadership looks like. Our summer has been nothing short of brutal. Floods, fires, heatwaves, drought – climate damage is here now, and more and more people are joining the dots. With a federal election approaching, this is our moment to turn out in the thousands and stand with kids across the country demanding an end to digging and burning coal. Together we can make this movement unstoppable. Let’s show all the communities impacted now, and the generations to come, that we’re with them all the way.